Is that the new book of books about pike fly fishing? When I heard the first time about this book, a few weeks ago, I was hopeful that it is exactly this. Robert D. Clouse, publisher of the book, instantly sent me a copy. My expectations were high. I hoped to find many new destinations and ideas and as a result from that many pikes at the end of fly line. 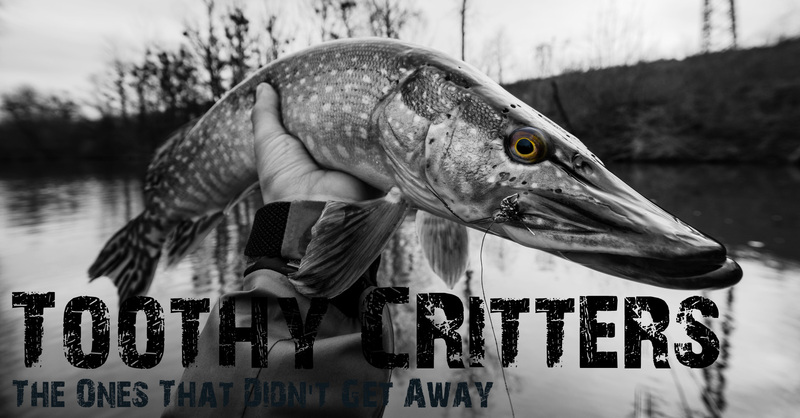 Is it now the book about pike fly fishing that every pike fly fishermen must obtain. Before I answer this question I’ll tell you some details about the book. Well the name of the book actually says everything about the book’s contents. 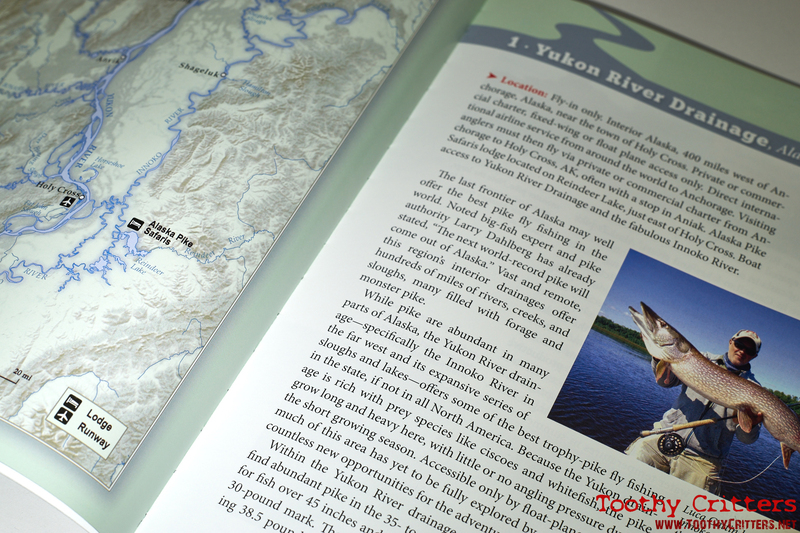 Of course you will find in the book not only the 25 best places to fly fish for pike but also many other extras. You can find tackle recommendations about rods, reels, fly lines and many more general information. In my opinion, very useful tips and tricks which I can fully agree with some minor exceptions. For example, I can absolutely not empathize why a BogaGrip is even mentioned except of collective denial. 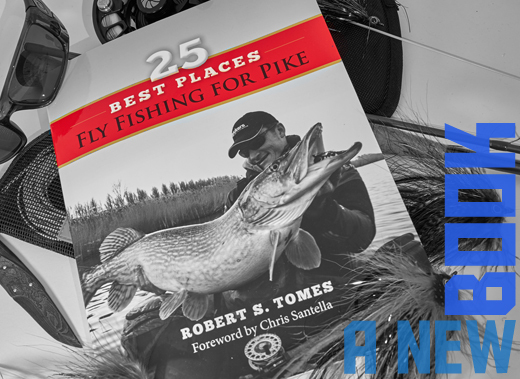 The real content of the book are the 25 best places to fly fish for pike. They will be presented carefully and described rich in detail. As a special bonus you can learn many details about those destinations. Each place is described together with the best fishing spots, arrival instructions, guides and lodge information and as if that were not enough also tackle specific information and fly recommendations are described. And in some cases even some more details can be found. That’s great! btw. Destinations. We start at A like Alaska, over C like Canada and then go on E like Europe and stop at S like Sweden. Roughly said spots this and that side of the big pond. So are this the 25 best places to fly fishing for pikes worldwide? NO! And that’s my biggest criticism with this book. I miss some real world spots not mentioned here. Spots that are a mecca for pike fly fishing. Replot in Finland, Rügen in Germany and many spots in the Baltic region I really miss in this book. In general the majority of spots mentioned are in the english speaking countries where much potential for an all-encompassing book fell by the wayside. Too bad. Sorry. Finally, and thus the resolution of the big question, a successful work but in my opinion, not the big impress. 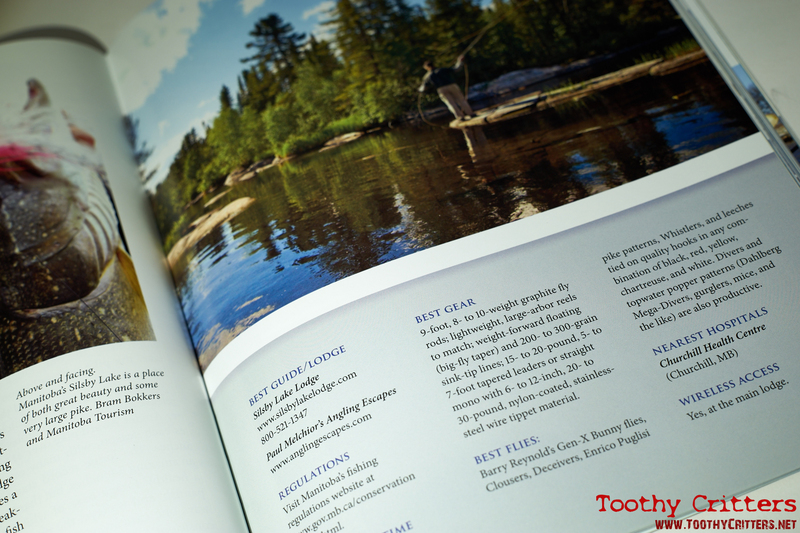 But perhaps there is still room for a 25 next best places to fly fish for pike book. The quiz!! Take the chance and win a free copy of the book. Write me why you want to read this book. A nice fairy will chose the most original answer and maybe its you who hits the jackpot. 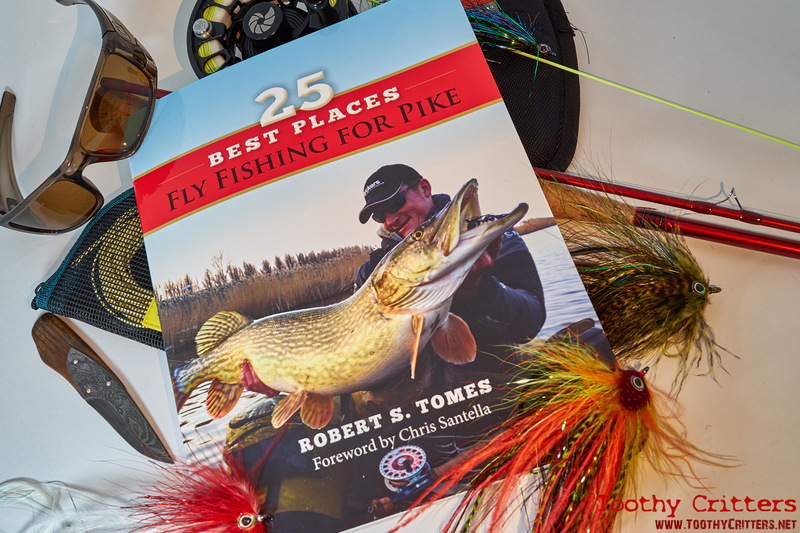 This entry was posted in Blog, Gear Reviews and tagged 25 best places fly fishing for pike, book, Robert S. Tomes, Stonefly press. As someone who is mad keen on fly fishing for Pike I got really excited when I ordered this book. I have to say I don’t agree with your comments on the Destinations. Yes there are lots of places in Europe such as Replot in Finland that could have been mentioned but the answer is in the title. I’m guessing it’s entitled 25 places for a reason and therefore the author was limited to 25 places. We all have our own favourite places and i’ve been fortunate to fish throughout most of Europe along with America and Canada. 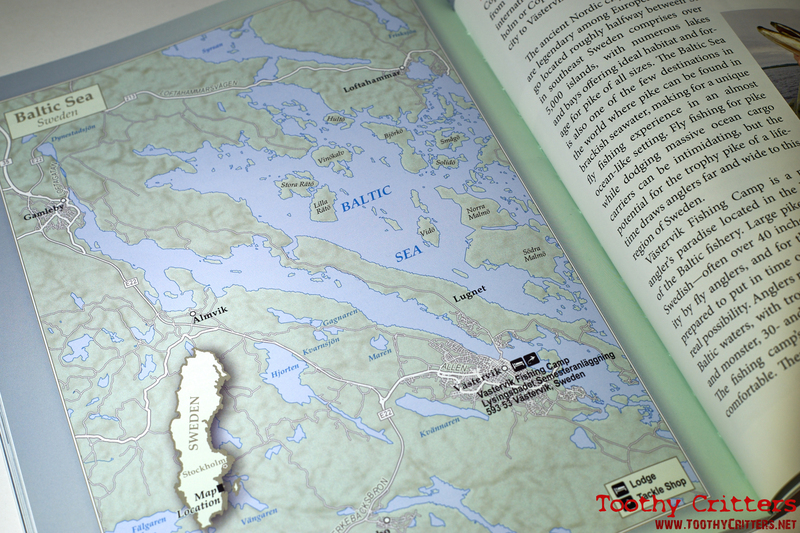 Yes I’ve fished Replot and yes i’ve fished the Baltic (which by the way is mentioned in the book) and would I class them as outstanding destinations? No I probably wouldn’t, they’re ok but not world class in my opinion. Maybe the author came to the same conclusion. After all we have our own opinions on what are good waters and what aren’t.